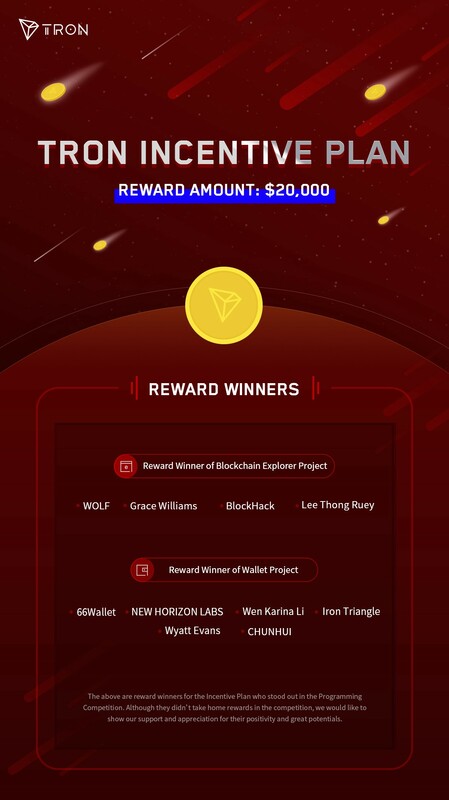 Tron Incentive Plan was launched on June 19, 2018(UTC+8), which offered rewards of USD$20,000 to outstanding DApps for Tron’s mainnet. We wanted to show appreciation towards the developers’ contribution to a global Tron ecosystem while supporting their subsequent development. Though the above teams didn’t win rewards in the Programming Competition, they have demonstrated their creativity and technical strengths. We also appreciate how engaged they are in TRON’s development and how much positive energy they’ve brought into the community. 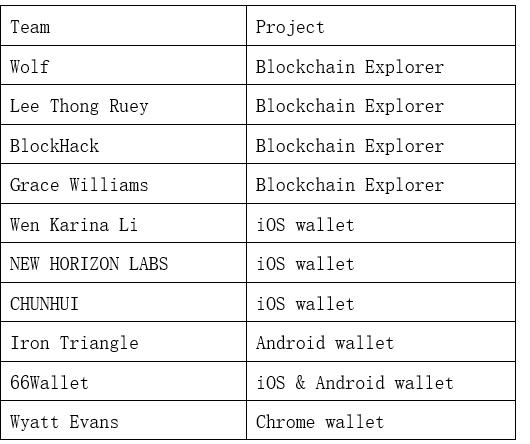 The implementation of the Incentive Plan shows TRON’s readiness to support outstanding community developers for better user experience within in a better TRON ecosystem. Now that the Mainnet has been officially launched, TRON encourages the development of higher-quality DApps and more participation from community teams. TRON has always been running its community based on the principle of openness while staying committed to creating a strong decentralized network in a global ecosystem. We are delighted that more developers are joining our mission! Thank you for your longstanding support!